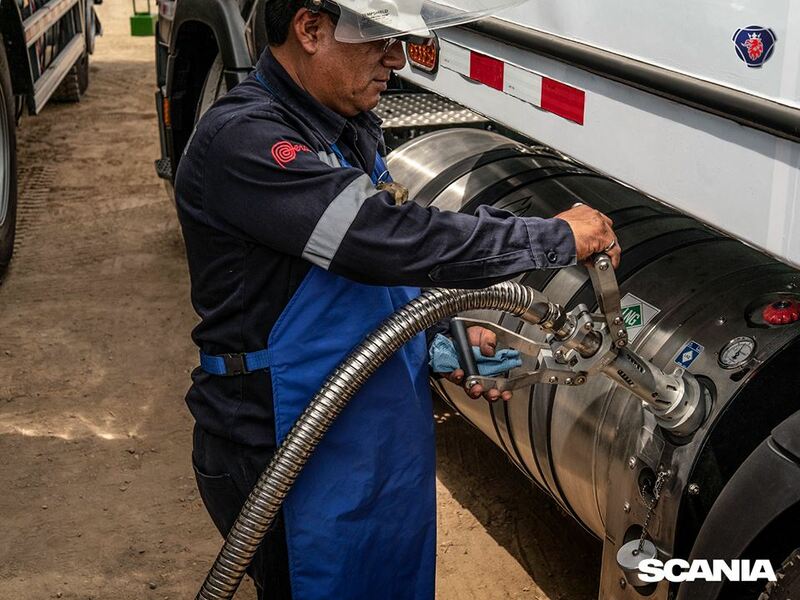 Scania and gas distributor Quavii (trademark of Gases del Pacífico) have joined forces to achieve a real milestone in Peruvian mobility and sustainability as they were part of the refueling of the first European heavy-duty truck powered by LNG in the country. The Scania brand vehicle has a range of more than 1,000 kilometers and will make its first journey from Lima to Trujillo. The refueling of the Scania G410 4×2 truck was done through a MicroFueler, a mobile refueling unit that represents the first step for the implementation of the Green Corridor project, which in its initial stage will put into operation two filling stations that will offer LNG along the north coast of Peru: the first located in Trujillo and the second in Huarmey. “From today, it is already possible for LNG long distance trucks to travel more than 1,000 kilometers in the most sustainable and efficient way that has existed up to now in our country. We were waiting for this great moment to start a new era of transition of heavy duty transportation in Peru. Now it is possible for the Peruvian market to use the cleanest mobility and with the most efficient performance in the world,” said José Antonio Manucci, Managing Director of Scania del Peru.